Should a roof projection that lets in light and air be part of your new home construction or remodeling plans? Find out here! Located on the sloped side of a roof, a dormer window brings natural light into an attic, loft, or any room with a vaulted ceiling. This type of window sits vertically in a framed structure that juts outward from the pitch of the main roof and features a little roof of its own above the window. Dormer windows are often associated with Colonial, Greek Revival, and cottage-style architecture, but they can be found on virtually any style of house that has a sloped roof. If you’re considering dormer windows for a new house construction or loft conversion, keep reading. We’ll explain the pros and cons and advise on the style options available. In residential construction, the use of dormer windows hasn’t changed much over the last few hundred years. They’re still valuable for bringing light into attics and lofts, but today, homeowners are more interested in choosing a style of dormer window to complement their house design. • Gable dormer: The most common style of dormer window, it features a gable (a triangular roof with slopes of equal pitch) over the window. • Gambrel dormer: The roof on a gambrel dormer features a gable at the peak of the roof, but then descends into two steeper roof slopes on the sides of the roof. This gives the gambrel dormer a barn-like look. • Hip dormer: A hip dormer features three roof planes, one on each side and a third parallel to the front of the dormer. All three planes slope upward and meet at a common point at the peak of the roof. • Shed dormer: This dormer has only one roof plane that slopes in the same direction as the slope of the main roof, but with a much shallower pitch. The pitch of a shed dormer is sometimes so slight that it appears to be almost horizontal. Some slope is necessary, however, to allow water to run off. • Eyebrow dormer: Instead of flat roof planes, an eyebrow dormer roof features a gently curved wave that extends up and completely over the window. An eyebrow dormer has no additional vertical wall sides and can give the impression of an eye peering out from under a hooded lid. 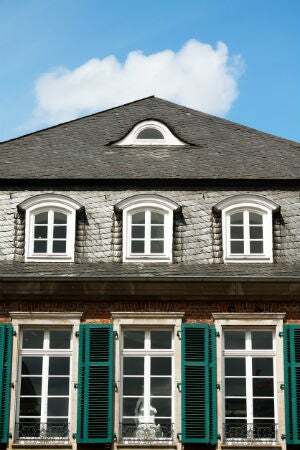 • Bonnet dormer: A bonnet dormer has a curved roof and vertical walls on either side of the window. It’s common to install arch-top windows in bonnet dormers so the top of the window matches the arch of the bonnet. • Wall dormer: This type of dormer can feature any one of the above styles of roofs, but it’s defining feature is that the front of the dormer is an extension of the exterior wall below. Instead of setting back in the middle of the roof, the siding on the main part of the house continues right up into the dormer, making the front of the dormer flush with the front of the house. • Lucarne dormer: Inspired by those found on Gothic cathedrals, residential lucarne dormers are typically tall and very narrow. Most feature gable roofs above the windows. • Blind dormer: While most dormer windows permit light into the loft, a blind (or “false”) dormer is for appearances only. From the street, a blind dormer looks identical to an ordinary dormer window, but instead of the dormer opening into the interior of the house, it merely attaches to the surface of the roof. From inside, there’s no indication that the dormer is present. Often, a dormer roof matches the style of the house’s main roof, but there are plenty of exceptions. A house with a gable roof can have a gambrel dormer, a shed dormer, or another style, depending on architectural preference. 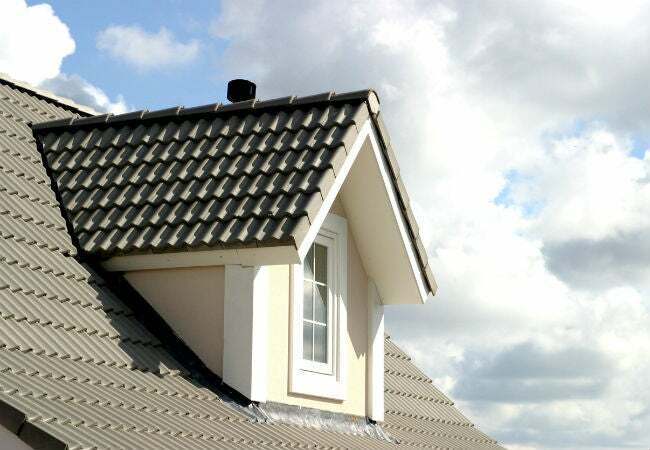 The type of roofing material on a dormer window typically matches the roofing material on the main roof. If the main roof has asphalt shingles, for example, the roof over the dormer window likely will as well. Dormer windows are desirable not just for bringing in natural light but also for their exterior aesthetic appeal. 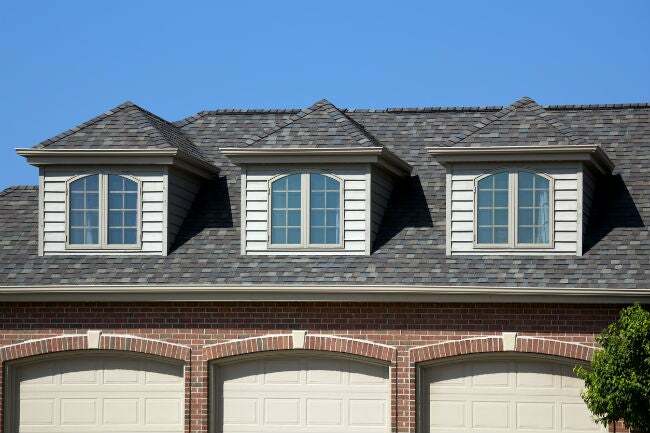 If you’re considering adding dormer windows to a new house or having one retrofitted on your existing home, the following benefits and drawbacks might help in the decision-making process. • Interior illumination: Attics and lofts are naturally dim without a window to brighten the interior. • Increased living space: The interior area behind a typical dormer window can be used as a sleeping or reading nook, or serve as a spot for a dresser or bench. • Better airflow: An operable window in a dormer works well for ventilating warm air out and fresh air in. • Exterior appearance: Dormer windows attractively break up the long expanse of the roof, adding character and style. • Not a DIY project: Putting in a dormer window is strictly a job for the pros. Complex angle-framing is necessary and, if a retrofit, an engineer must design the reconfiguration of the rafters necessary to install the new dormer. • Added cost: It takes time and materials to build a dormer window, so installation cost is greater than the price of a roof without one. Adding three dormers during new construction can increase the price of the roof by 15 to 20 percent. 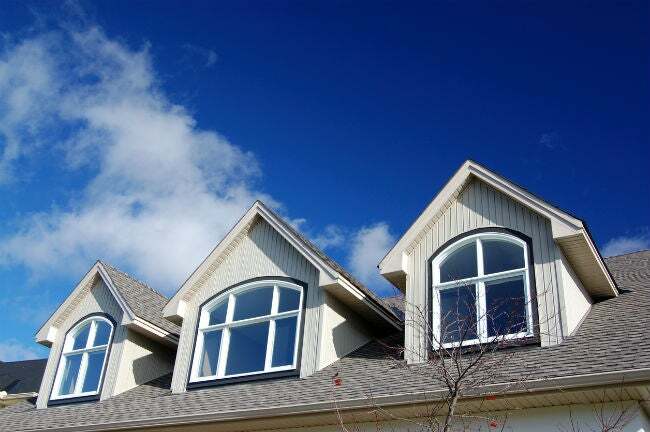 Retrofitting dormer windows can be even more costly, ranging from $3,500 to $20,000 per window, depending on the style, size, and material choice. • Increased leak risk: Dormers, like chimneys, penetrate the main roof, which means there’s a greater likelihood of leaks. Flashing—a method of interweaving shingles and sheet metal—is necessary to reduce the risk of leaks, but even then, penetrations remain more leak-prone than other parts of the roof. If you’re having a new home built, the framing contractor will construct the frame of the dormer at the same time the roof structure is framed. Sheathing (the plywood that covers the framing studs) is attached to the outside dormer walls and over the rafters of the main roof at the same time. The next step is the installation of a vapor barrier wrap over the sheathing on the vertical walls of the dormer. The window is usually installed next, and then the roofing contractor will install the shingles over the dormer roof and the main roof at the same time so there is no visible transition between the two—just a seamless layer of shingles over the entire roof. When the exterior is complete, the interior of the dormer is finished (painted and trimmed) at the same time the interior loft space is finished. When you’re having a dormer window retrofitted in an existing house, the main focus is to reduce the amount of time you have a gaping hole in your roof. For this reason, interior framing, such as alterations to the interior rafters or trusses (alterations that must be cleared by a structural engineer), is often done first, and then the contractor constructs the exterior frame of the dormer on the surface of the roof. When that’s complete, the connecting hole is cut through the roof and then any necessary additional framing takes place. The window is typically installed next and then the dormer can be wrapped with a vapor barrier and the exterior and interior can be finished as desired. If you’re thinking about retrofitting one or more dormer windows in an existing house, the best time to do it is when you’re replacing the shingles. That way, the roofing contractor can lay new shingles over the entire roof at the same time. This provides the most cohesive look because it can be difficult to perfectly match new shingles to existing ones.